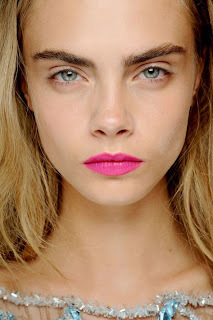 As you can probably already tell from the title, this is a beauty-related post, and most specifically, it's about the makeup trends for the summer of 2013. The model's makeup looked really gorgeous at the runway shows, so that is why i decided to dedicate a post about it! 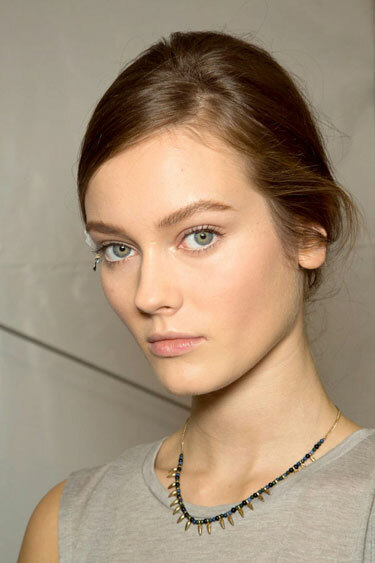 The models rocked a flawless skin at the summer shows, without any blemishes or redness. If you wanna achieve a similar look, then i suggest you investing in a good foundation that will cover up all of your imperfections! 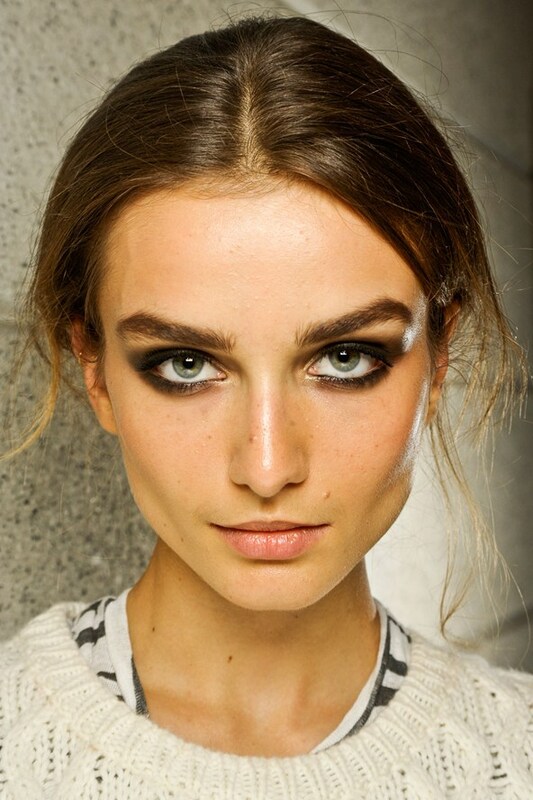 For achieving a sunkissed look, all you got to do is apply a little bit of bronzer to the top of your forehead, working down the nose and along your cheeks. That way you 'll look like you just got back from an exotic island! Super cool, right...? I can't really say that i am a huge fan of full looking brows, since i believe that only a few people can actually rock them, especially Cara! 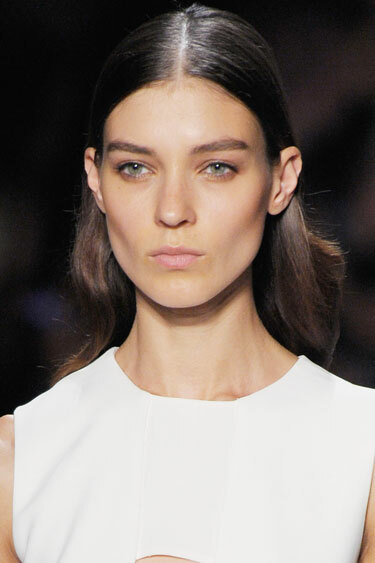 But, one thing is for sure, the models that had this kind of eyebrows, looked totally amazing! 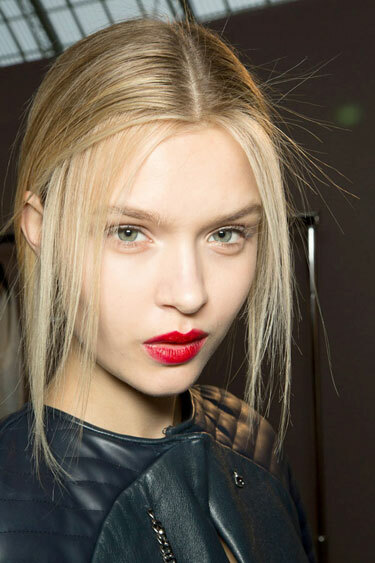 Do you apply lots and lots of coats of mascara before you leave the house? Do you enjoy having long and thick eyelashes...? 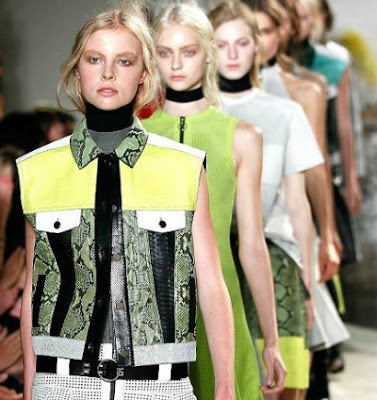 Then, this trend is definitely for you! 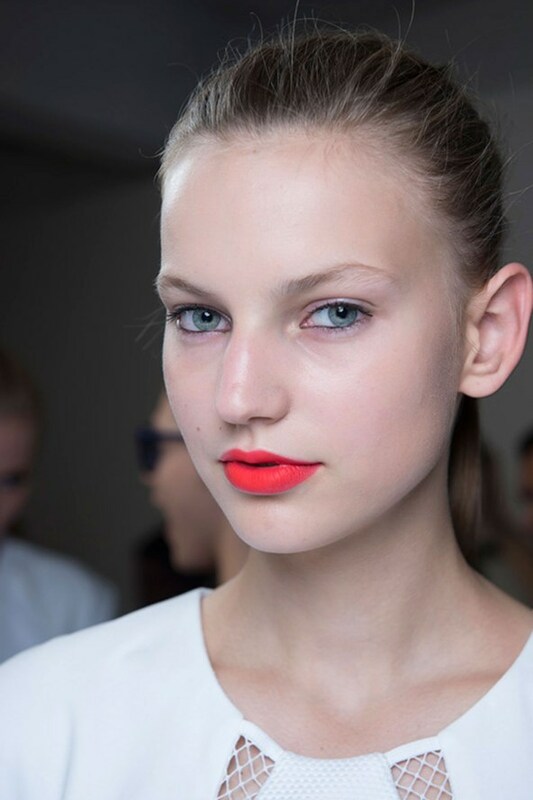 Whether they are matte red, hot pink or coral ,colourful lips are super trendy right now,so go ahead and give them a try! *All photos are from harpersbazaar.com, glamourmagazine.co.uk and vogue.co.uk. 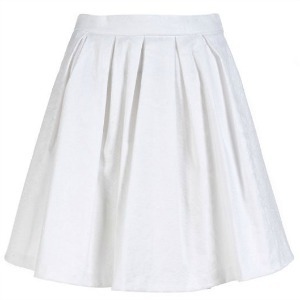 Skater skirts,that are also known as circle skirts, are inspired by the style of the skating dancers and they are undoubtedly popular this season. There are just so many good things about them: first of all, they are high-waisted so they make your legs look longer, which makes you look taller. Secondly, they make your waist look smaller because they are tight. 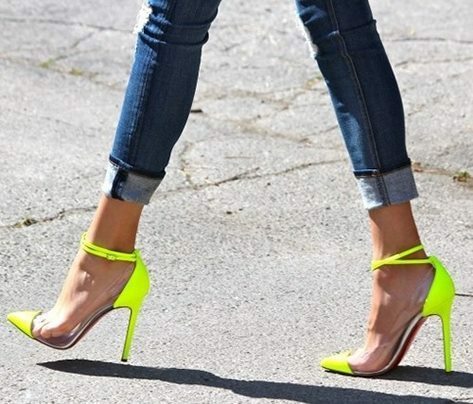 At last but -definitely- not least, they are flowy and playful, so they add a girly touch to every single outfit! So, all of these things make the "skater skirt" probably my favorite type of skirt! 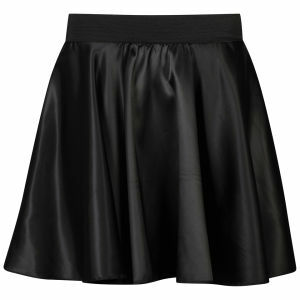 A black skater skirt is a wardrobe must-have, since you can wear it in so many different ways, and the best part is that it's perfect for day AND night time! White is a colour that is always trendy during the summer time. 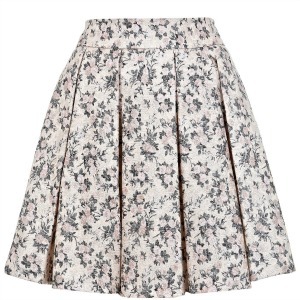 You can wear this skirt with -almost- everything, plus, it's a great base for achieving a total white outfit! 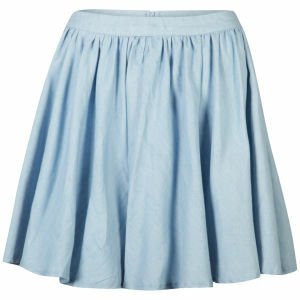 Everything denim is a must-have piece, and so is a denim skater skirt! The pairings are countless, plus, you can create a "denim on denim" outfit, just by adding a denim shirt! There is NO summer without floral prints, right...? 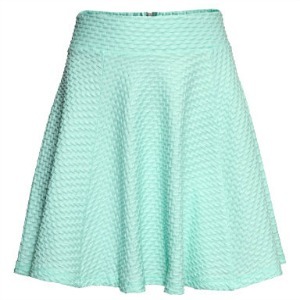 For the summer time, a skirt that has a bright and fun colour is an absolute essential. If you don't know what colour you should choose, i suggest you to go for a mint one, since mint is probably the hottest colour for the summer of 2013! The first thing that probably comes to my mind every time i think of summer's fashion, is neon colours. 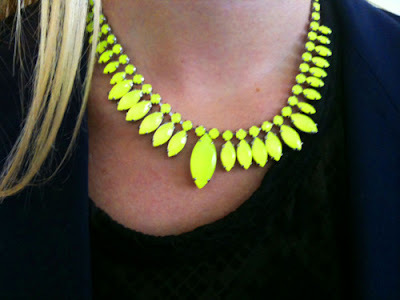 "Neons" are great for the summer time, since they are bright, playful and really girly! I love neons, especially hot pink, which is definitely one my favorite colours ever! Wanna see how the models rocked the "neon trend" at the s/s 2013 runway shows? Just take a look at the pictures down below. Dungarees, that are also known as overalls, were originally used as a protective garment for men that worked as engineers, farmers, mechanics etc. Women wore overalls for the first time back in 1916 while working in factories. And now, in 2013, they seem to be very trendy, since so many fashionistas all around the world have already tried the "dungarees" trend for the summer time! Styling dungarees can sometimes be a little bit tricky, since they cover up almost our whole body, so i suggest going for a plain crop top in order to reveal a little bit of skin. As for shoes, i think flats -oxfords or loafers- would look really cute. At last, a stylish satchel would definitely make the whole outfit much more stylish! The truth is that i've always been a huge fan of striped items -especially striped tops-, since i wear them pretty much all year long (striped sweaters for the winter time and striped t-shirts for the summer!). Now that stripes seem to be extremely trendy, since we saw lots and lots of models rocking a striped shirt/dress/romper/blazer or even a pair of striped pants on the runway, i definitely plan on wearing them much more from now on! What about you...? If you'd like some inspiration on how you can style your striped pieces just take a look at the model's pictures down below.